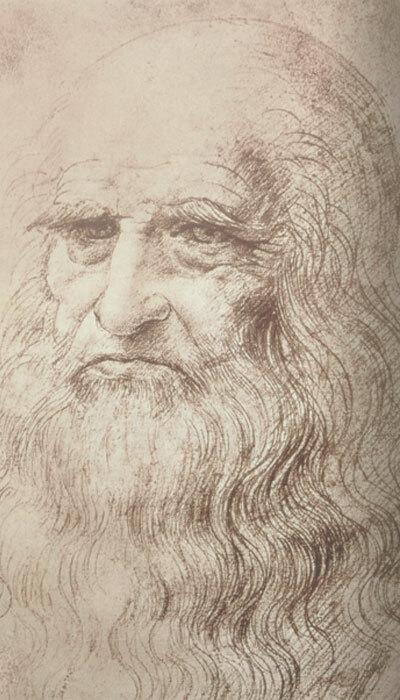 It seems highly probable, and almost certain, that Leonardo was in search of a work by Ramon Lull, The name of the illustrious doctor came up in a conversation with the eminent Barnabite Father Gazzola who has kindly and benevolently taken an interest in my studies. and that he was still looking for it when he wrote the Leicester manuscript or that he wished to re-examine it. The reference would not be out of place in this manuscript. In fact, in the congeries of the questions forming the ars lulliana, or if we wish to use Leonardo�s term for it, the ramondina, are those which Lull calls elementales or elementativae, and among them some which Leonardo tried to resolve on more than one occasion, In the Ars demonstrativa (included in tome III, vol. IV, 1722, of the works of Ramon Lull, printed in Magonza), Distinctio IV De questionibus, Pars II (pg. 101, De orbe) of the vol. cit. are the following questions: 8. Quaeritur . Utrum luna sit aqua simplex, quae aqua elementum appellatur? 12. Quaeritur . Utrum splendor, quem luna a sole suscipit, sit retardatio magnitudinis in influentia aquae? 13. Quaeritur . Utrum figura terrae representetur per solem in obscuritate lunae, quemadmodum sit repraesentatio in duobus speculis compositis? And the following (pg. 103, De natura), in the cit. vol. : 5. Quaeritur . Qu� natur� influat mare Angliae? 6. Quaeritur . Qu� natur� sit mare salsum? (Cf. le Quaestiones per artem demonstrativam seu inventivam solubiles nel vol. IV [V] (1729) of the op. cit. pg. 151-153.) other questions which might have interested Leonardo, may be found in the Ars comendiosa inveniendi veritatem seu Ars magna et maiorj Distinctio III, pars II de LX Quaest. (included in vol. I, 1721, of the op.cit. ): �56. Quaestio. Quid sit fulgur? ; 57. Quid sit to/litruum? ; 58. Quomodo generatur ventus? ; 59. Quomodo generantur pluvia et nubes? ; 60. Quomodo galcies et nix generantur?�. The solutions given to them are interesting in some points for comparison with the Leicester ms., as where Lull affirms �sunt venti insummitate montium et in aere frequentius. et non in terra� � 58 cit.). Also, on this subject, is what Lull says in the Quaestiones per Artem demonstrativam seu inventivam solubiles (op., vol. IV [V], p. 142; Quaestio CXLIV. Quomodo generetur ventus?) �...sicut generatio Venti consideratur, quod possit fieri ex utre pleno Aere appetente naturaliter egredi et continere, non autem contineri, propter quem appetitum habet motum in habitu, et dum foramen utris aperitur, egreditur in figuram Venti; sic considerandum est, quod fiat generatio Venti, quia, dum Aer sic est situatus, quod ejus subtiles particulae constituant plenum, et illud plenum ex omni ambitu collaterali et superiori sit conclusum a grossis vaporibus conjunctis et difficulter frangibilibus propter restrictionem Aquae, tunc superioribus grossis et indigestis vaporibus vel nubibus, quia quantum possunt, sunt depuratae ab Igne et A�re, descendentibus ad suum centrum, comprimunt praedictum plenum, videlicet A�rem sic inclusum, quem ob intolerabilitatem supravenientis ponderis oportet hac vel ill� parte minus forti violenter penetrare, et tunc labitur A�r impetuose, quem dicimus esse Ventum�. and which fell more specifically within the subject area he was dealing with.